Jay Godsall fits into the category of people who are naturally disruptive, who cannot stand the unexplored possibility of “what if?”. Growing up in a family of bush plane operators, he has spent his whole life figuring out how to help those living in remote areas gain access to the world. I had the opportunity to sit down with him and discuss the founding of Solar Ship, the missions his company has established in Burundi and China, and how he hopes to penetrate Canada’s North with this new method of transport. As a teenager growing up in Ottawa, Godsall earned pocket money mowing lawns. An entrepreneur at heart, he knew that if he could secure a lawn maintenance contract for embassies, his business would vastly expand. Therefore, he started pitching his business idea to those involved in diplomatic circles. After befriending a young gentleman from the Burundian embassy, Godsall threw a Burundian themed party and invited young adults associated with the other African embassies. Godsall based the Solar Ship design on the standard features of a bush plane, except he made sure that this aircraft would be able to land in places with no infrastructure and take-off in areas no bigger than a soccer field. During take-off, lifting gas is used to allow the aircraft to take flight while massive wings get a lot of lift and buoyancy as the Solar Ship rises. The hybrid design includes solar panels placed on the top wing that provide the fuel for flight. These aircrafts are being developed at Hangar 175 in the Brantford Municipal Airport, 100 kms outside Toronto. Solar Ships come in various forms, from aircraft that have an 11 metre wingspan to ones with wings that are as large as 100 metres. I asked Godsall what sets this aircraft apart from other hybrids, such as Lockheed Martin’s LMH-1. This mentality is what started Solar Ship’s first operation in Burundi- Mission Peace + Freedom. “If you are fine with how things are, with people in remote areas suffering, then don’t do anything. But if you aren’t, then be disruptive and change it.” Godsall knew that there was an opportunity in Burundi to provide a cost-effective method of transporting goods to areas with no roads and infrastructure. The first group that Godsall targeted in Burundi he called the “2.5%”. “These are the people who by nature are unable to tolerate the “what if”. They’re the open-minded, crazy ones who are willing to try something new before it is proven. These 2.5% of people have networks of trust that they can transfer to you. They are well-informed on the logistic operations within the area, know how to connect with global money, and while they may not be directly involved with politics, they can introduce you to someone in the political realm. That is why the human factor in this venture is so important.” Doing business in the war-torn Great Lakes region of Africa is not the easiest. Godsall was able to develop strong partnerships that have allowed him to conduct Solar Ship operations there. It was the relationship that Godsall formed with the African embassies in his teenage years that allowed him to gain invaluable research into the problems facing the landlocked regions of Rwanda, Burundi, and the Democratic Republic of Congo (DRC). The young Burundian man who invited Godsall to the lunch at the embassy is now his business partner of 34 years. Godsall next turned his sights on another huge landlocked region: the plateaus of China. He realised the potential that the Solar Ship aircraft has for servicing the remote areas of China. After approaching the daring 2.5% of Shenzhen, a global city whose amount of financial transactions can be only compared to Silicon Valley’s, he started collaborating with investors on which types of aircraft Solar Ship can provide that would work for the altitude in China. Godsall hopes that Solar Ship will be able to make a difference in Northern communities. “Our North leads the world in suicide attempts…The current policies that we have in place are a global embarrassment.” Godsall has a plan in place to engage the First Nations and Inuit communities in Solar Ship’s ventures. 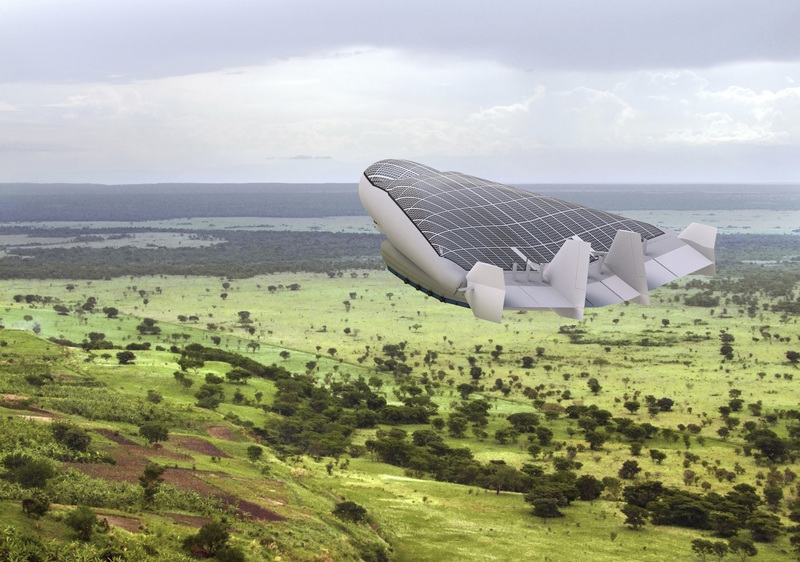 Solar Ship’s aircraft will change the mindset of transporting equipment into remote areas, regardless of the price of oil and lack of infrastructure. Godsall, the Canadian Richard Branson, will continue to work on this “disruptive innovation” to connect these untapped economies to global hubs. Photo: Solar Ship’s Wolverine (2015). Published with permission by Solar Ship. Credits: The author thanks Matt O’Leary for sharing his insightful thoughts that helped in the making of this article. Russia and the U.S. Election: What Really Happened?